CHATTY GAL. Lynn Bednar (below) is the owner and “head Chatterbox” at her new cafe on Hastings Way in Eau Claire. She said she wants the cafe to foster conversation and good eats. There are few things more characteristically Midwestern than chattering with friends, neighbors, acquaintances, or (if you’re in my family) anyone in hearing range. That’s the vibe a new local restaurant, Lynn’s Chatterbox Café, is going for at 1410 South Hastings Way (the former home of Chicken Unlimited and Delish Cuisine). 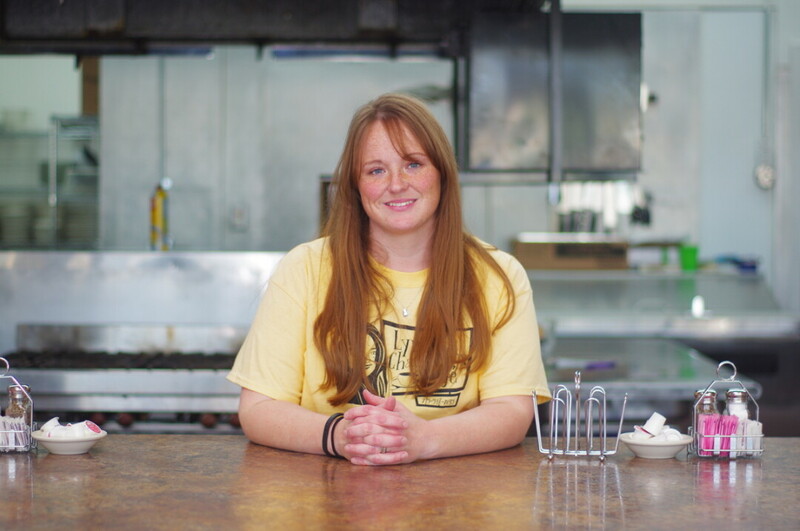 Lynn Bednar, a Minnesota native who moved to the Chippewa Valley in 2008, developed a passion to own a café since she was in junior high school; after getting her first waitressing job at age 13, she fell in love with it. The name of her new restaurant, which will feature home-style cooking from scratch and a down-to-earth vibe, isn’t all that surprising given Bednar’s admission that she was “THAT kid” whose parents offered them money to stop talking for five minutes – money she never managed to walk away with. If it seems like locals will be stepping into Lake Wobegon and Garrison Keillor’s frequent mentions of the fictional town’s “Chatterbox Café” on the weekly public radio show A Prairie Home Companion, you wouldn’t be that far off. Lynn’s Chatterbox Café – which was slated to open Monday, July 20 – offers tables, booths, and counter seating to choose from (“in case you wanted to add peanut butter to your toast and forgot to tell your waitress – go ahead and yell that back to the cook”), the café aims to appeal to anyone and everyone in the community. With a time-honored, family-tested menu and the ability of Lynn and her other servers (affectionately known as “Chatterboxes”) to chat with all ages, it seems like the kind of place that could quickly become a family favorite. To learn more, search for Lynn’s Chatterbox Café on Facebook.